The very best Huila Pools are located primarily in huge cities, but it's also easy to find public pools in rural areas. Swimia.com needs your feedback on Aquagym in Huila to ensure all the information and facts about swimming in Huila is valid. Traveling to Huila? This can be the perfect spot on the internet to find places to swim in Huila. Each day you're not swimming you will be losing precious time in improving your abilities to be a better swimmer! No more excuses! 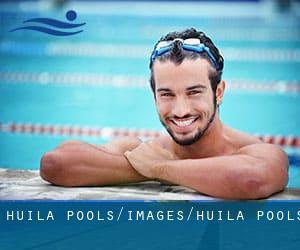 Obtain your nearest Huila Pool and tell us how it went. Not all countries would be the same, and swimming rules and regulations are changing from one country to the other. So, if this is your first time searching for Huila Pools, make sure to call the premises prior to you drop by. We in all probability don't know all the Pools in Huila. Are you missing any? Contact us!. Thanks to some new pools submitted by swimmers like you, Swimia.com is escalating within the everyday number of stored pools. Please don't hesitate to contact us if you get any Huila Pool with inaccurate or incomplete info. One from the benefits of outdoor swimming in Huila is the possibility to sunbathe during the summer season. Taking it with extra care, sunbathing is healthy since introduces Vitamin D into the body, so the very best alternative seems to be switching among indoor and outdoor pools depending on the season. There are various causes why it's best to choose a heated swimming pool in Huila. Probably the most important one relies on the significance of keeping the body temperature stable. If the water is too cold, your body will try to warm it up and you will shed strength to swim properly. Enjoy the best indoor pools in Huila and don't worry about the weather. These facilities are open all seasons and you can enjoy a swim at the same temperature every day of the year. Swimming is really a outstanding idea to keep your body active for the duration of your visit to Pitalito (Huila), or even if you're a local. Swimia assists you to discover your closest Swimming Pool in Pitalito. It's difficult to visit Huila without dropping by Neiva (with 352.855 residents). At present Swimia is showing you all the Swimming Pool in Neiva and the closest pools situated in its vicinity. Holding an estimated population of 29.451, Garzón is one of the most important cities in Huila. Check all the Swimming Pool in Garzón and its surrounding area. Without a shadow of a doubt, swimming in Campoalegre may be the very best approach to unwind soon after work. Take a couple of minutes to browse Swimia's catalog to find a Pool in Campoalegre. Updated on 2019 Behind the Coliseo Humberto Perea , Barranquilla , COLOMBIA. Swimmers like you have reported Olympic size x 25 meters, 8 lanes, Outdoors. Also, you will find ~20 meters x ~20 meters diving pool, Outdoors. Just in case you would like to contact this Swimming Pool prior to dropping by, we only know the phone number. Centro Urbano de Recreación CUR , Carrera 61 No. 49 B 23 , Bogota , COLOMBIA. Swimmers like you have reported Olympic size, 8 lanes, Indoors. Also, you will find 25 meters, Indoors. Just in case you want to get in touch with this Pool just before dropping by, we only know the phone number. Calle 200 , Bogota , COLOMBIA. This sports center offers 25 meters, 6 lanes, Indoors. For this Pool, only phone number is number here. Villa Olìmpica Duitama , Duitama , COLOMBIA (Postal Code: 098). This sports center gives Olympic size, 10 lanes, Indoors. For this Swimming Pool, only phone number is number here. Autopista Norte Calle 195 , Bogota , COLOMBIA. This sports center offers 25 meters, 6 lanes, Outdoors. For this Pool, only phone number is number here. Variante Las Palmas , Medellin , COLOMBIA. Among all the activities offered by the center, if you are thinking about swimming you will enjoy 25 meters, Outdoors. If you have to make contact with this Pool, email address and phone number are both number.